You don’t need any special skills or background in electrical engineering to properly connect the trackage on your model railroad layout to your digital command center. All it takes to safely and correctly wire tracks to the DCC on your layout is a basic understanding of resistance and wire gauge, along with a quick trip to Home Depot. 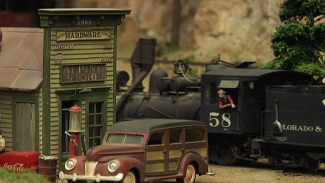 In this lesson, modeler and DCC expert Steve Barkley teaches you about the two most common types of track connections you’ll need to make on your model railroad, and the two coinciding wire gauges you’ll utilize to make those connections. 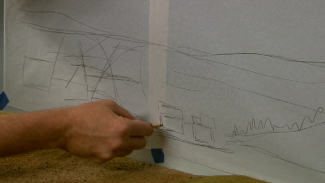 He explains how you should determine when to use a small gauge and when to use a larger version, and tells you why you should always follow the Home Depot Rule when shopping for wiring for your layout. With these expert tips, you can hook up your trackage to the DCC and get those locomotives running in no time! I want to light up buildings on my Lionel layout. What is the least expensive & easiest way to accomplish this. I already heard about the expensive “Just Plug”. Any other suggestions? Make it easy I’m not an electrician. You’re probably think of the Woodland Scenics “plug and play” lighting system. That’s a good one. Actually, with a little coaching, I think you could learn to be a miniature lighting electrician. It really isn’t that hard. Hi Ken. I like stranded wire in most cases. It has a slightly better current carrying capacity and is much easier to string through benchwork, etc. I do use light gauge solid wire in short lengths for feeder wires however. They make a much less conspicuous solder connection to the rail.